First of all, hello friends in digital world! 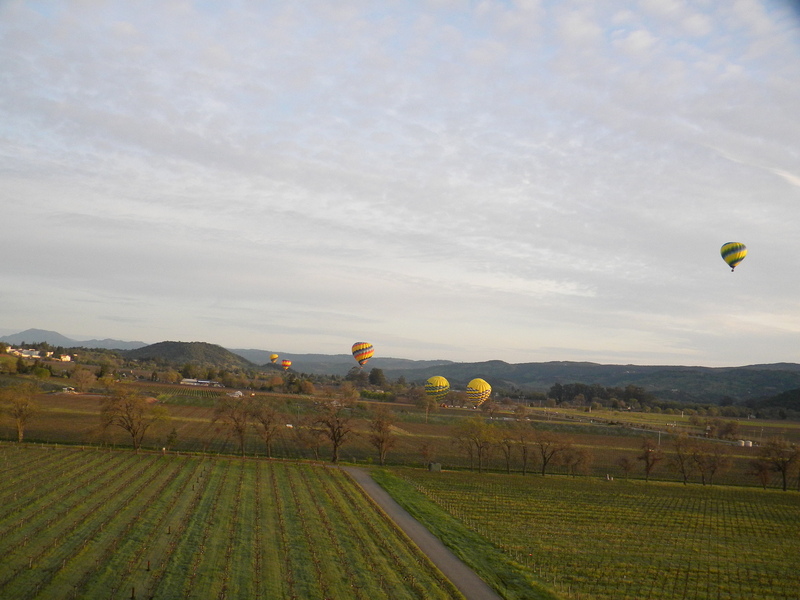 I took a long three-day weekend off and went to Napa Valley, California with my boyfriend! I hope everyone had a wonderful holiday break off as well (whether celebrating Passover, Easter, or otherwise)! I apologize for not posting in a few days, but as part of my “mental spring cleaning”, travel was exactly what I needed to re-enegerize and re-inspire. 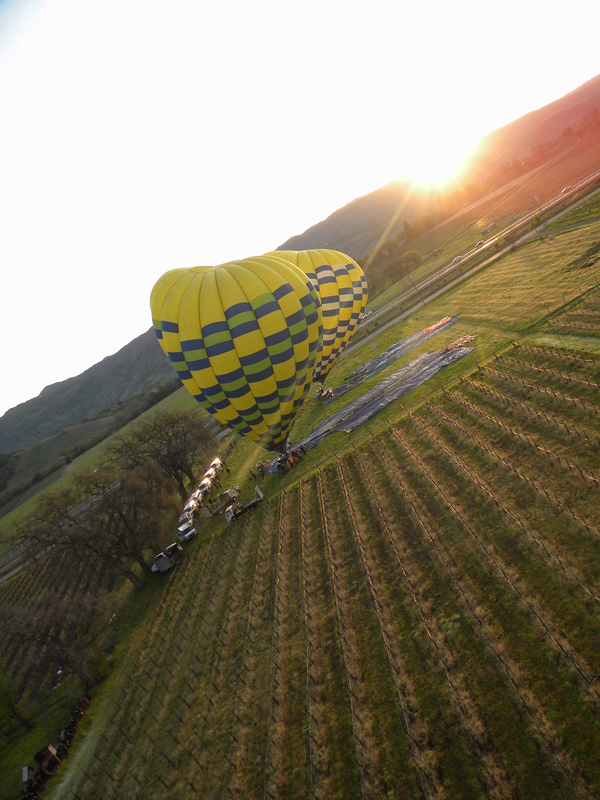 Michael and I went vineyard tasting, cold spring dipping, mountain hiking, redwood viewing, cave exploring, champagne (technically sparkling-wine) tasting, wisteria and poppy seeing, indulgent eating, friend visiting, and finally (the pièce de résistance) we went hot-air ballooning over the valleys! 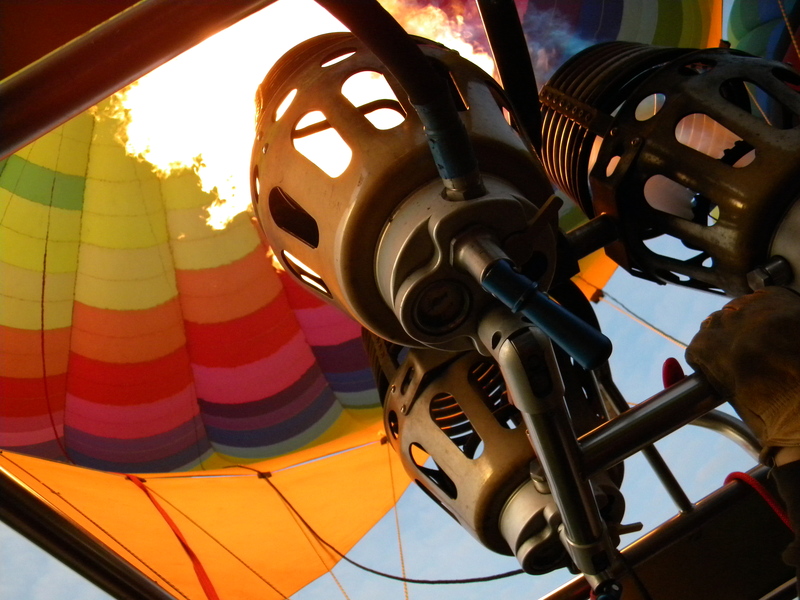 The hot air balloon is the oldest successful human-carrying flight technology – it is also known as balloon craft. 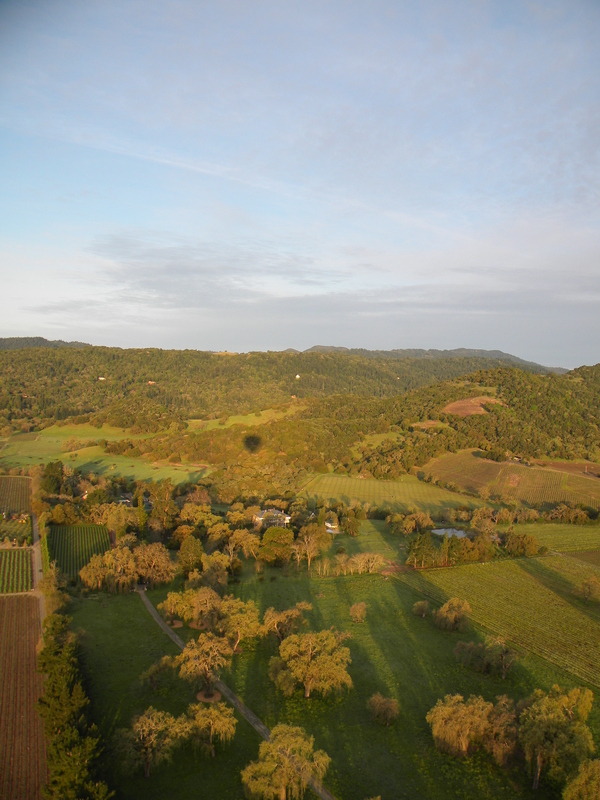 In 1783, the first successful (and untethered) flight was accomplished in France. 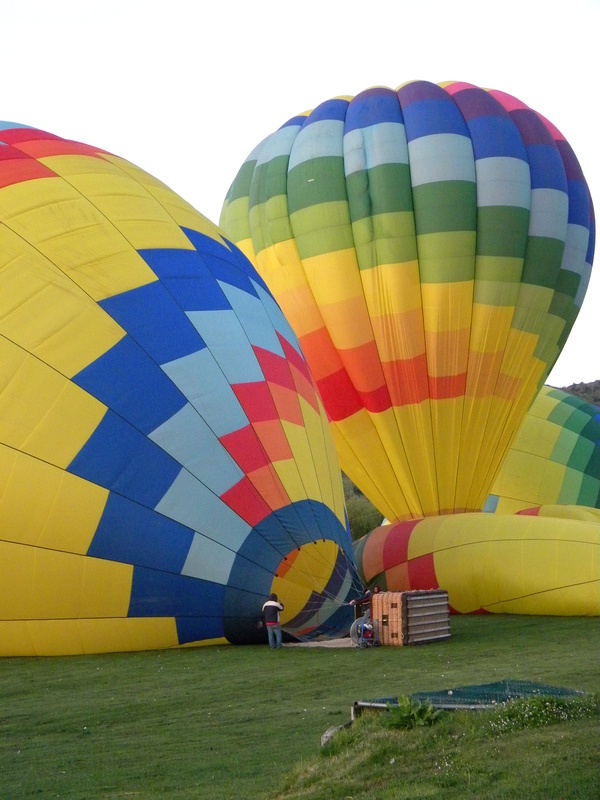 Modern hot-air balloons are usually made of strong synthetic fabrics such as nylon, dacron, and other polyester – there are even technical terms for the balloon itself (envelope) and the vents left in the bag that allow for elevation maneuvering (gores). No longer do balloons have to come in the “traditional tear drop” shape, because of innovations in technology, shapes have included bumble bees, caterpillars, castles-in-the-sky, turtles, BUTTS, and whatever the mind can muster. The mother of all aviation has also reached cruising altitudes as high as the jet stream! 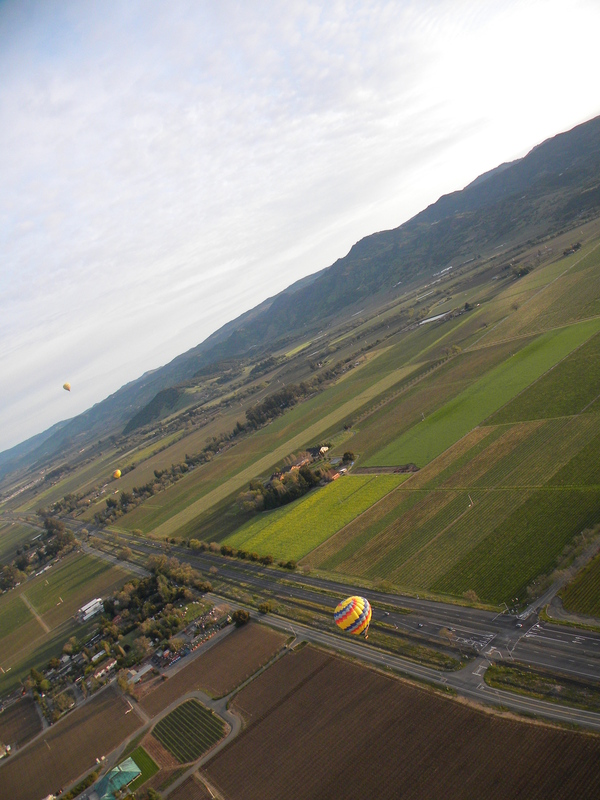 I was in a 16 person woven wicker basket – which itself weighed 600 lbs – and needed a crew to handle during takeoff and landing! 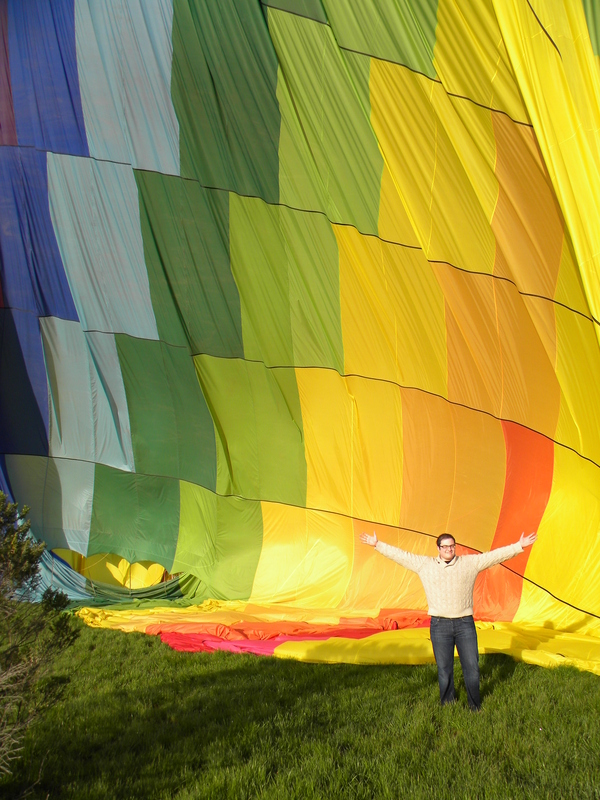 Regardless of sophisticated history and vernacular (and there are PAGES upon TOMES as to the craft) – I was most struck by the color of the balloon’s fabric! 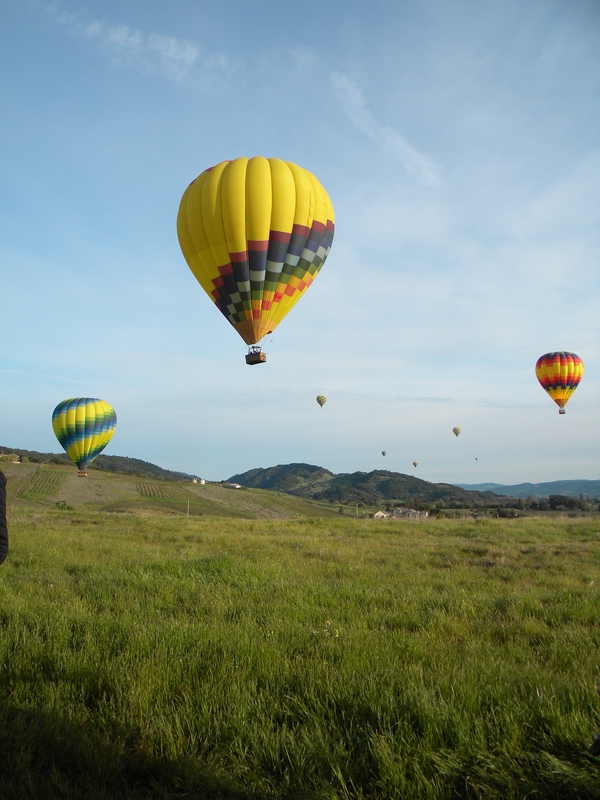 So how can one live in a world inspired by ballooning? 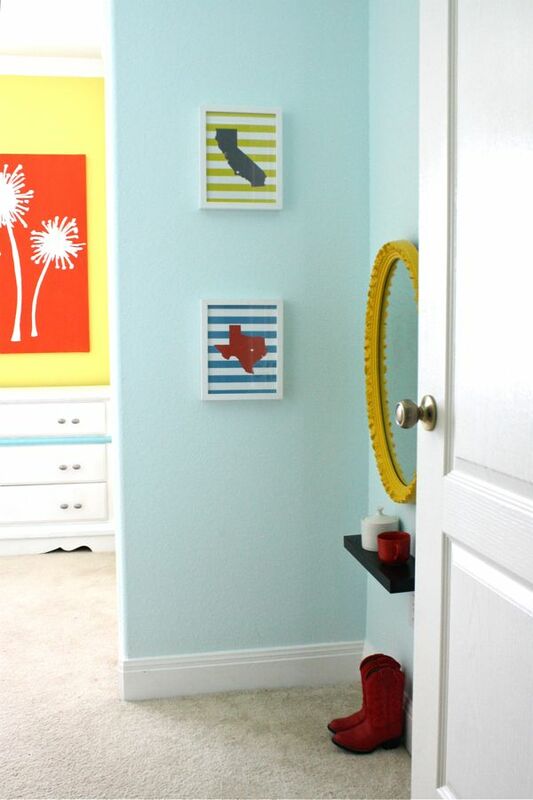 The primary colors lit from behind (almost stain-glass-esque) are a wonderful place to start. The other important materials to include is a wicker or rattan (representing the passenger baskets). The bright yellows, sunny reds, verdant greens, and bold purples – aligned with calm, natural woven wicker – could make a room a happy yet rustic space! First of all, happy Pi day. Pi day occurs on March 14th (3.14) and celebrates both math and dessert. Seriously, we need more holidays like this. I had a friend in high school who was able to recite Pi up to its 100th decimal point. It was actually, weirdly, relaxing to hear (almost hypnotic). 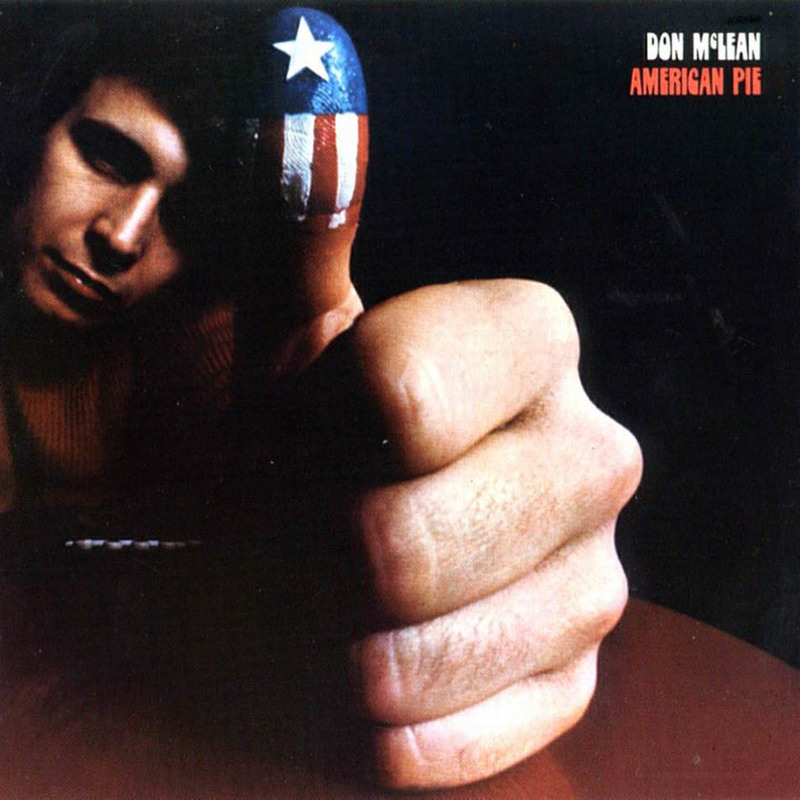 Secondly, AND I AM PUSHING SEGUES HERE, lets talk about American Pie. To me this song, and this ideal, represents a bric-a-brac of American culture. The song encompasses one man’s love of music in America that spans Bob Dylan (Minnesota), Buddy Holly (Texas), Janis Joplin (Texas and California) , Elvis Presley (Mississippi and Tennessee), and Carly Simon (New York). The song also mentions the changing American landscape during the death of the Kennedy’s. To me, this song commemorates America in a way that is not kitschy and uber-patriotic – it is totally genuine. 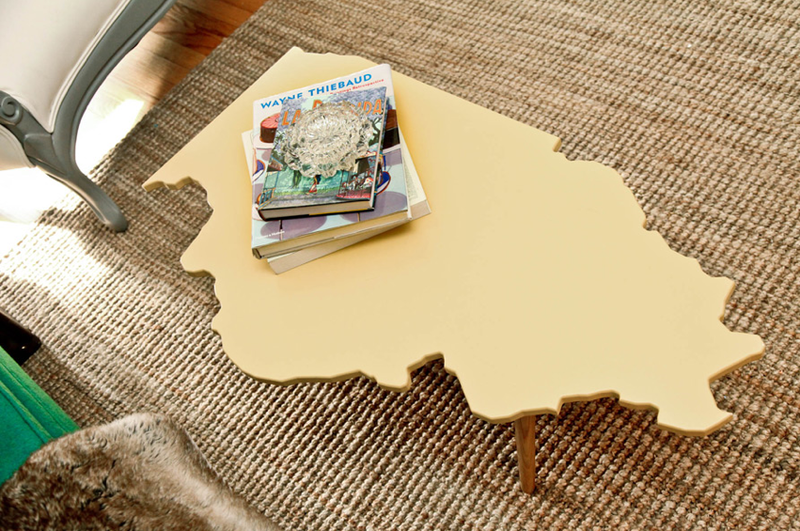 Based in Chicago, Illinois, the LGBT-owned furniture company 900Blok also celebrates the topography of America. 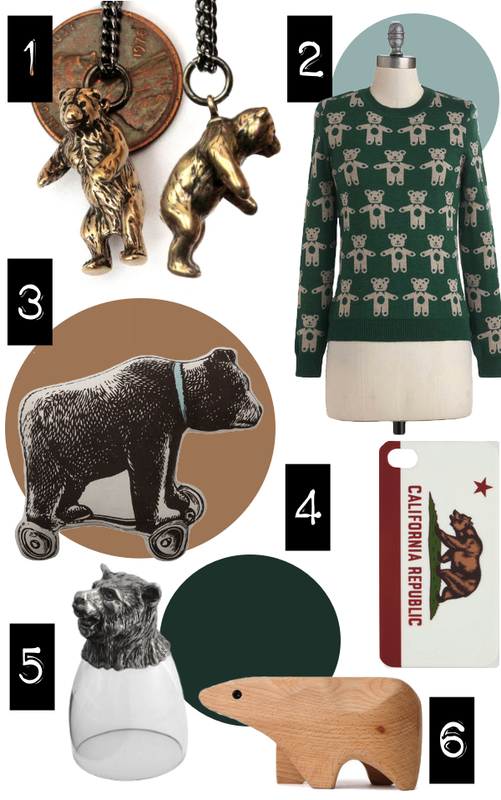 I love the idea of designing in a patriotic way that isn’t the literal “Stars and Stripes”, “American Flag Colors”,”Western”, schlocky and humdrum decor. 900Blok’s first collection called “50 States” aims to bring the shapes of midcentury design to the shapes of The United States. The shapes of the states are familiar, we have always seen them on maps on our elementary school walls, we see the shapes of the states on the news, the cutout is ubiquitous. Yet, we have not seen the shapes as tables. This design allows me to think of each area as an aesthetically pleasing form – rather than a political entity. I currently live in New York – but what an amazing way to remember where I grew up and commemorate their importance – Pennsylvania and New Jersey. California Here We Come. 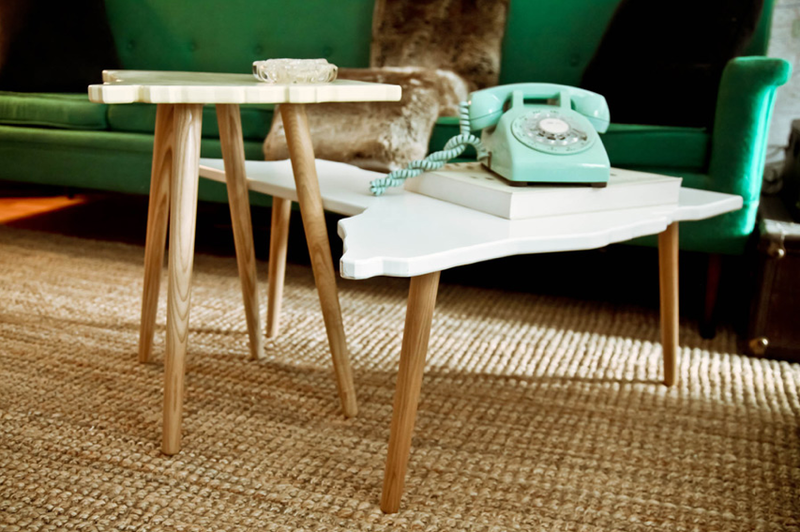 Look at those solid oak legs and that lacquered tabletop finish! Image courtesy of 900Blok, HERE. 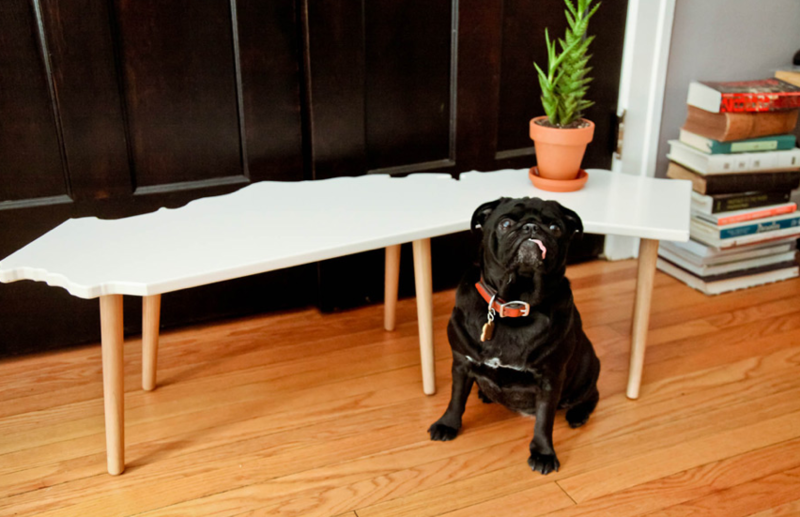 These nesting tables allow states to touch that otherwise wouldn’t. Ever wanted Ohio to touch Nevada (not the states seen above)? DONE. 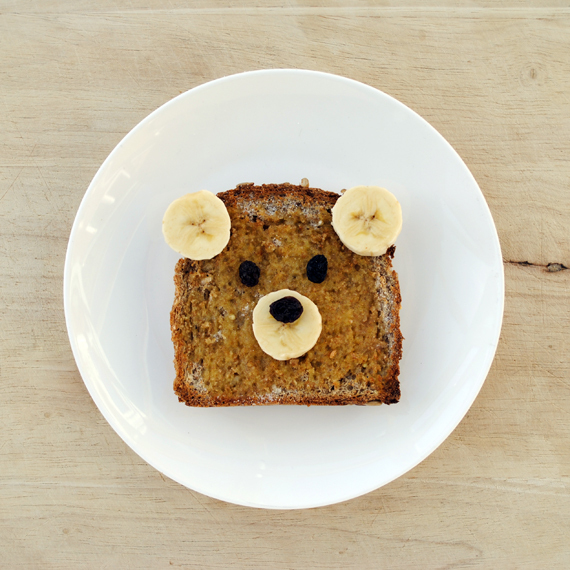 Image courtesy of 900Blok, HERE. Chicago! Also can we talk about the Wayne Thiebaud coffee table book? This is probably a necessity in every home, in fact I might need to write a post merely about his cake icing and frosty pastel colors. Image courtesy of 900Blok, HERE. The United States of Logos. 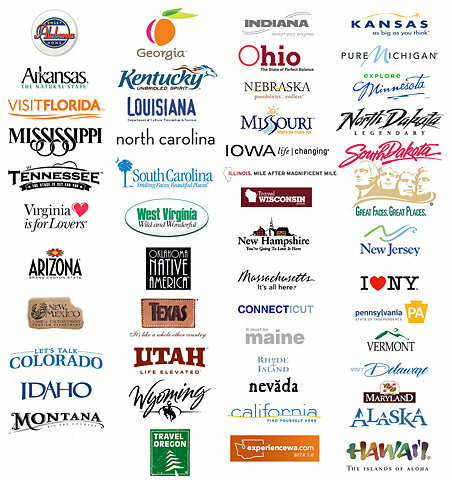 Look at each state’s different branding, calligraphy, and colors! Found HERE. 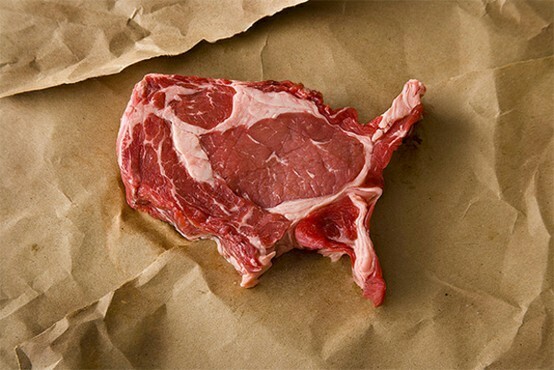 United Steaks of America. I think this would be a killer print in someone’s kitchen. Image Courtesy of the artist, Dominic Episcopo. Both of the above images courtesy of dirtsastudio on Etsy! 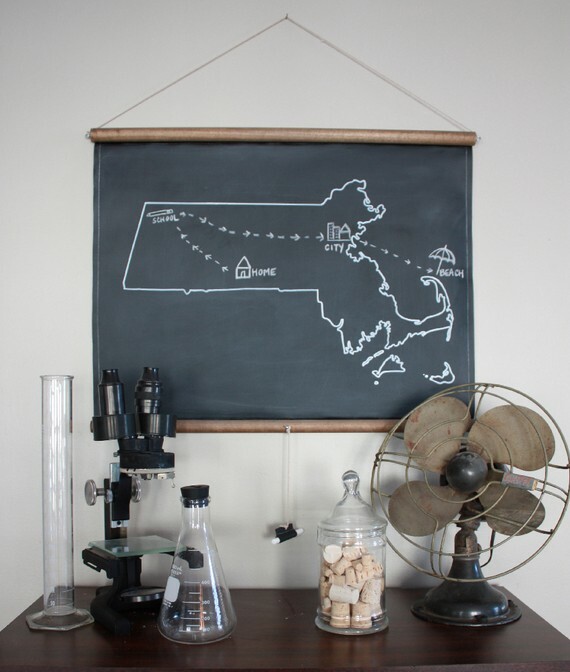 Grab yourself a chalkboard state! 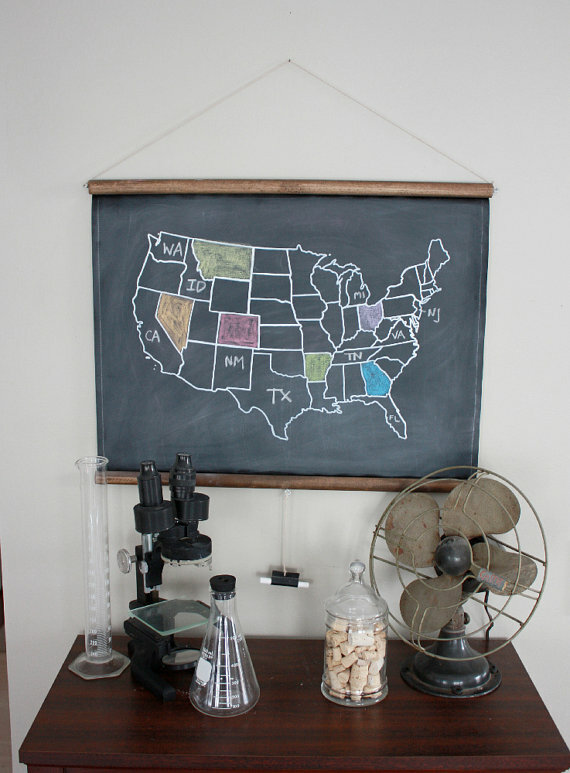 Chart your travels, mark your favorite spots, or just learn some geography with a chalkboard map of the United States. q.a. 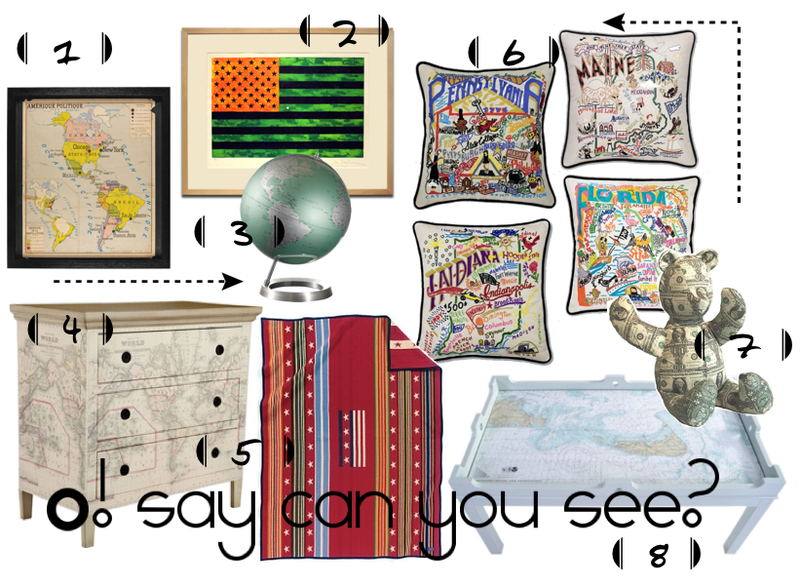 DESIGN has a circus-striped and colorful take on the U.S. 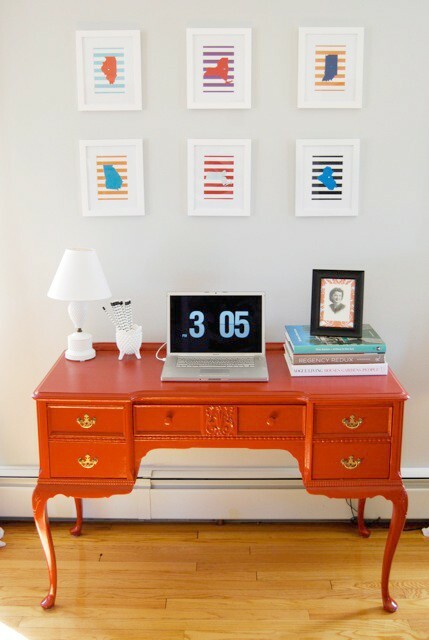 I love the contrasting colors in the prints. The shop is filled with maps from various states, with a simple heart over the state capitol (or your favorite city of choice). A person’s home can features the states in which she has spent most of his/her lifetime. 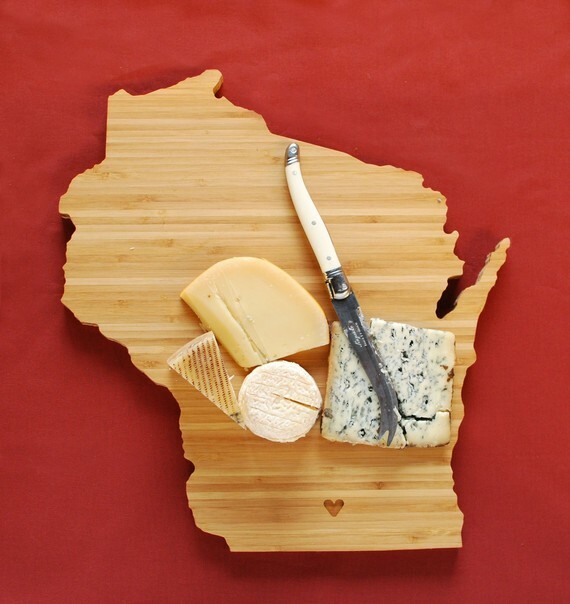 I could not help the pun of using Wisconsin as a Cheese Board. 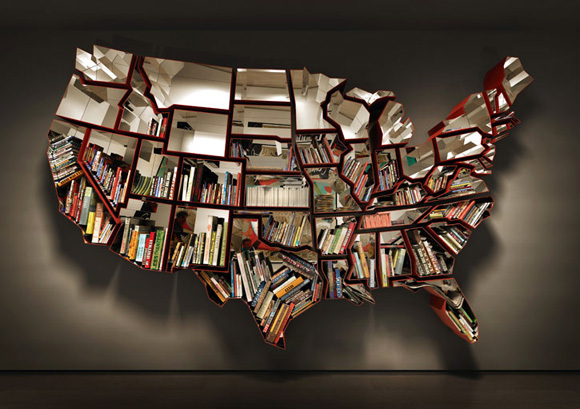 However, any state can be found in this design shop! A.Heirloom Design Shop, HERE.